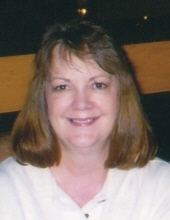 Erma L. Bailie, age 71, of Butler, passed away on Monday, April 8, 2019 at her home. Born December 25, 1947 in New Brighton, she was the daughter of the late Raymond Blum and Mary Claudine Buffington Blum. Erma was a graduate of Seneca Valley High School. In her younger years, she was a member of the Elks Ladies Auxiliary in Butler. She enjoyed traveling with her husband and family and going on gambling jaunts with her friends. Erma was a loving mother and grandmother and she loved taking care of her family. She will be dearly missed and lovingly remembered. Erma leaves behind to cherish her memory her son, Joseph T. Bailie IV of Butler; her grandchildren, Carly Lee Bailie and Joseph T. Bailie V; her sisters, Janet Rae Murray, Donna Jean Vargo, and Mary Lou Benoit and her husband, Harry "Bud", all of Zelienople; and several nieces and nephews. In addition to her parents, Erma was preceded in death by her husband, Joseph T. Bailie III, who she married on February 16, 1973 and who passed away on August 13, 2016, and her son, Jason R. Bailie who passed away on July 10, 2003. Friends will be received from 12-2 P.M. and 4 P.M. until the time of the Celebration of Life service at 6 P.M. on Sunday, April 14, 2019 at the Boylan Funeral Home and Cremation Center of Connoquenessing Twp., 856 Evans City Rd., Renfrew, PA 16053 with Pastor Reid Moon, officiating. To send flowers or a remembrance gift to the family of Erma L. Bailie, please visit our Tribute Store. "Email Address" would like to share the life celebration of Erma L. Bailie. Click on the "link" to go to share a favorite memory or leave a condolence message for the family.